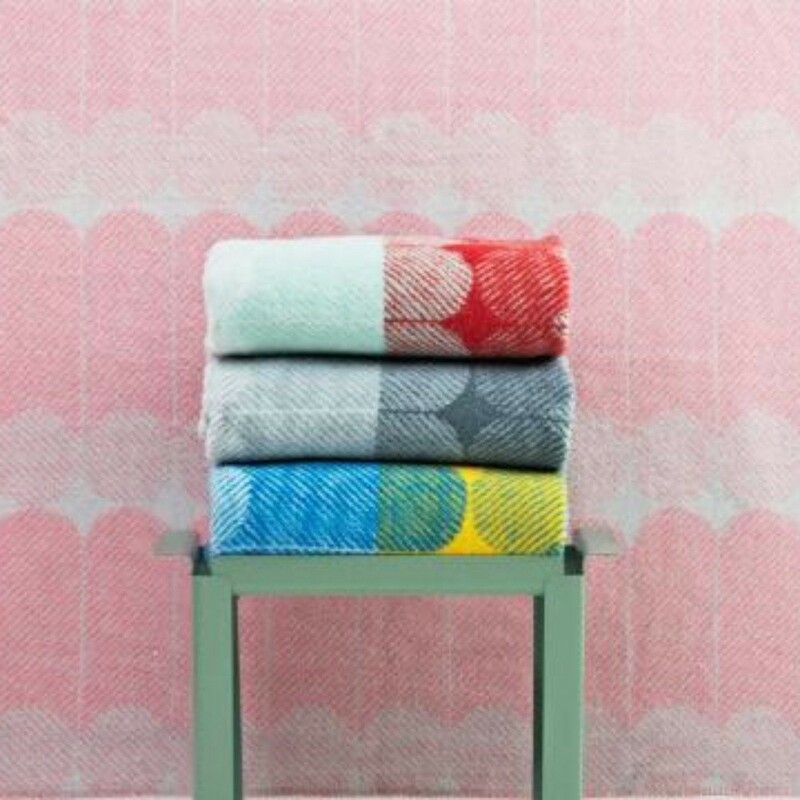 Günzler.Polmar Team has experimented with compositions and pattern repetition in order to create the Ekko throw blanket. 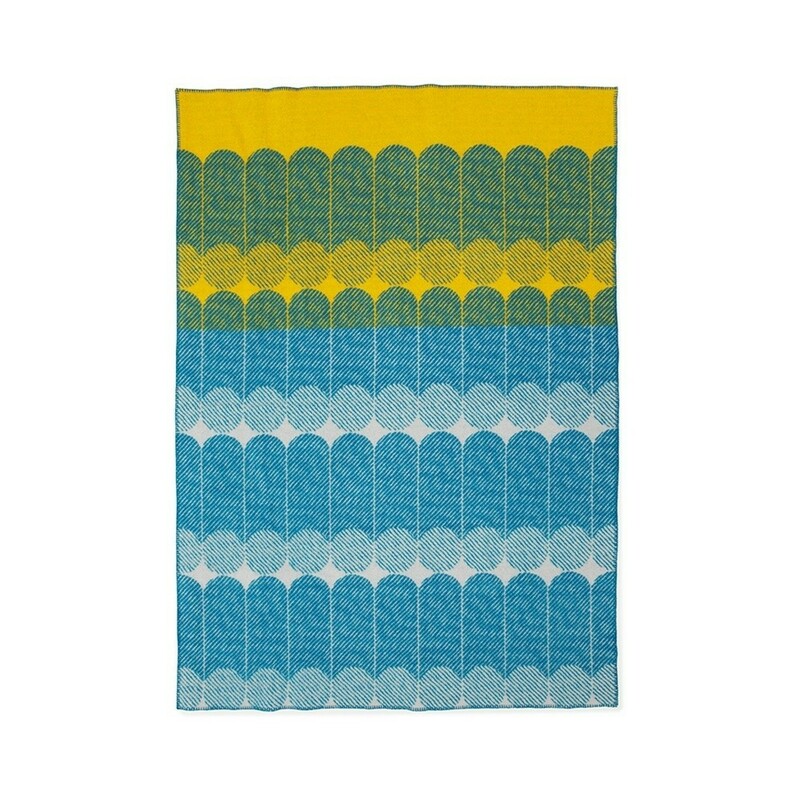 By developing further the jacquard weaving technique, Normann Copenhagen created this amazing throw blanket to help you feel cozy and add an interesting an colorful touch to your living room. 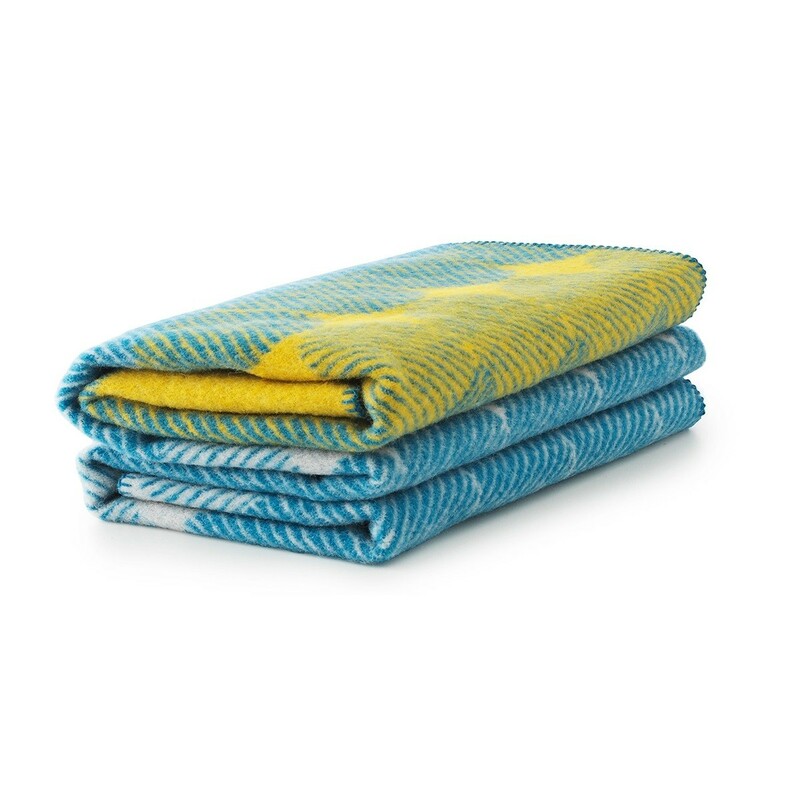 Regardless the season of the year, the amazing Ekko throw blanket in combination of Yellow and Dusty Blue color will keep you warm and help you decorate your space. What makes the blanket much more interesting is its ability to change look depending on the way you fold it. The vibrant color combinations of the Ekko throw blanket create a colorful impact while its graphic pattern of cylinder shapes constitutes the blanket’s amazing pattern. The material used for the blanket is 100% New Zealand wool, making it a blanket of top quality! Ideal to use in cold days while reading your book or relaxing on a Sunday morning or even outside your house, when it is a bit chilly but you like to enjoy a relaxing night at your garden or your balcony. 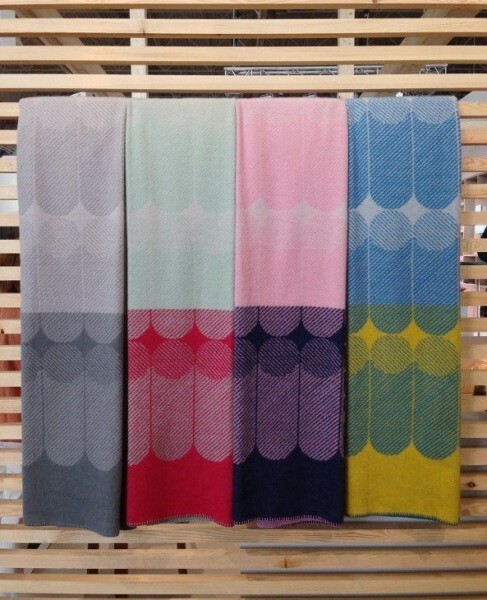 At Design Is This you will find the Ekko throw blanket in different vibrant color combinations. Material: 100% New Zealand wool. 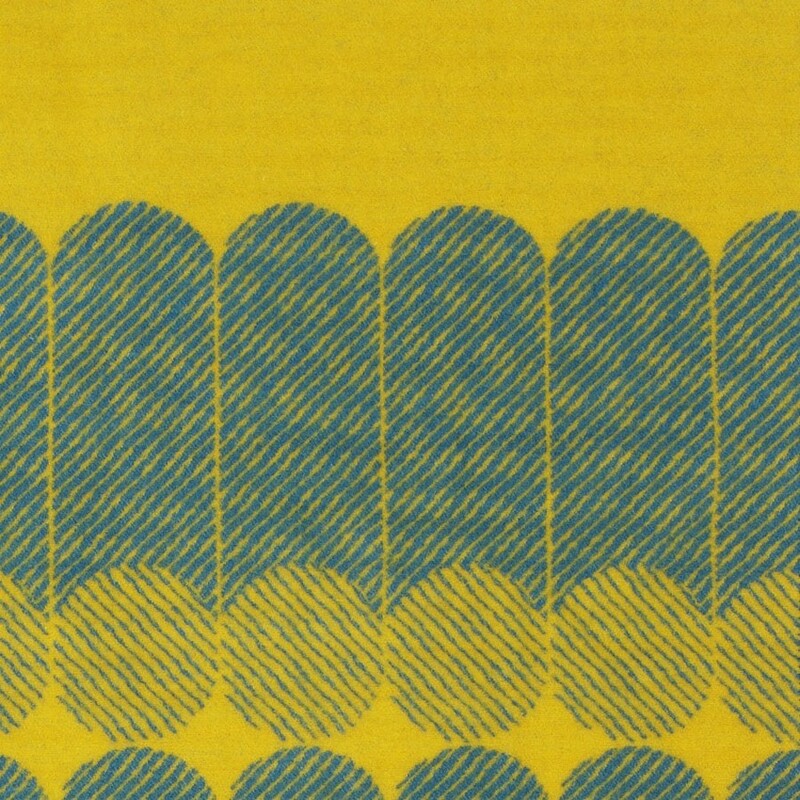 Color: Yellow and dusty blue.